Meanwhile, back at the ear Editor and Caroline were hurriedly trying to edit the footage they had acquired from Tad’s memory bands. Caroline wanted to include a montage of Tad’s flaws and various stupid comments that he’d made. Editor insisted they didn’t have time and that Director didn’t okay it. Aside from the montage he grudgingly complied with her wishes and comments. He looked straight ahead at the computer screen as she pointed out where she wanted to insert her own editorial comments. Editor didn’t even crack a smile when she mentioned what a Rhodes Scholar Tad was for thinking Brazilian’s spoke Spanish. He stared stoically at her when she laughed at Tad’s credit card getting rejected on Valentine’s Day. Editor just shook his head. Cameraman woke up from his third nap of the day and began setting up the “journal room”, which was basically just a chair and a plain black backdrop that had been found in the memory of Tad’s first job as a photographer’s assistant. Caroline sat in front of the background and made various statements that would help narrate the show. For the second date footage she said with a laugh, “he chewed with his mouth open”. For the scene where he met her parents she said, “He knew how important my father’s opinion was to me; how could he humiliate me like that “, she said beginning to cry. She added comments for director to use as he wished. “I realize now that I confused his anger with personal depth” She said, thinking she sounded rather insightful. “He was just a spoiled child who hated himself and wanted to take it out on women”, she said thinking of an Oprah episode she had seen a long time ago. “I knew what a prick he was by then. Instead of just leaving I wondered what it said about me if even a ridiculous, unsuccessful prick didn’t love me.” She said sadly. “You can’t say prick”, editor said looking up from the comic book he had been reading. “You can ask Director when he gets back, but I’m sure he’ll say no”. He said coldly. Editor began inserting the comments in the places that Caroline had instructed him to. Cameraman began setting up an area for the audience to sit. They all nervously checked watches and cell phones. “Audience is here,” Cameraman said, looking into the distance. 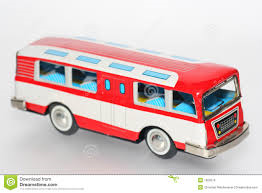 A tiny toy bus that Tad had swallowed when he was two was making its way up the bile duct. The bus stopped near the eye and about twenty or so attractive young people in cheap business attire got off followed by a short chubby main holding a microphone who gave them the once over and told them where to sit. “Hey, who’s on this show? “ Caroline heard one of them say to the other. “Man, we had to get photo approved for this?” one of the more ordinary looking men said. “I had to come because I haven’t worked in six weeks. Having to eat body shrinking candy and jump down a man’s throat for a measly $8 bucks an hour has to be some kind of a union violation”. “Who would do this for minimum wage? Where did they get these people?” Caroline asked. With this Director, Dan Rather, Dora, Dr. Applewood and a host of assorted authority figures, unattainable women and frat brothers came walking towards the eye. They sat in the front row off the audience. The short chubby man entertained the crowd with a few jokes while director put a few finishing touches on the show. “Director”, Caroline asked, “Why can’t we swear “? “Oh, nothing to worry about love. The sponsor wanted it that way is all”. Director did not answer her, but instead took to the stage. The audience went wild. Caroline took her place in the front row wondering what director meant about a sponsor.